I spent a lot of my time as a youth member in Girl Guides at camp. Going to Guelph ’93 as a Pathfinder was one of the defining moments of my youth, and one of the main things that kept me in Guiding when friends were drifting off to other activities. Needless to say, I was very excited for my own daughter to experience the fun that is Guide camp. So when she turned five, I eagerly signed her up for Sparks, but I also looked into options for summer camp. She was keen to go; she’d been waiting for five years to join the fun, having watched Mommy go off to camp with our unit every year. But I also knew that with a new baby sister at home, she had experienced a lot of change in the past year, and probably wasn’t ready to head off to camp on her own. 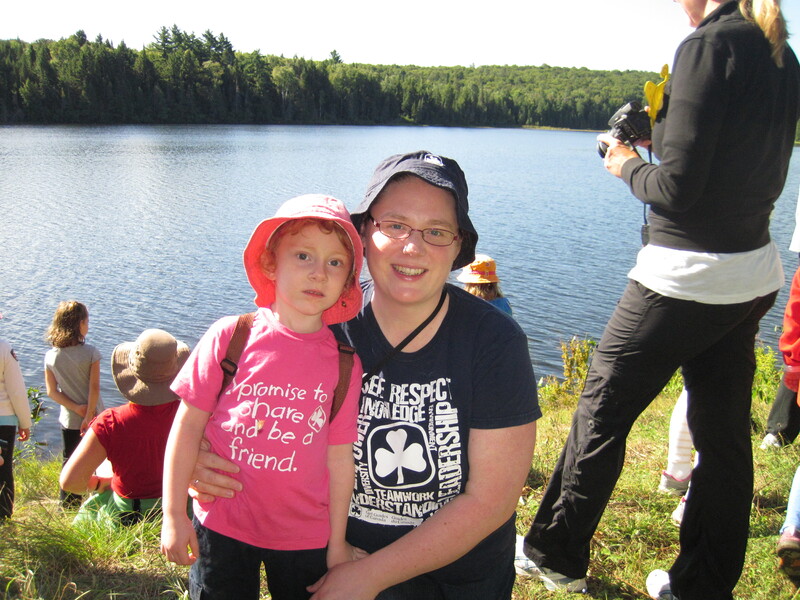 I was thrilled to find out that there was a great option to introduce her to Guide camp – a “Mom and Me” weekend, offered at many of the Guides Ontario camp properties. I could help ease her into her camp experience, and she’d get Mom all to herself for the weekend! After looking through the information about each camp, we decided on Camp Adelaide. 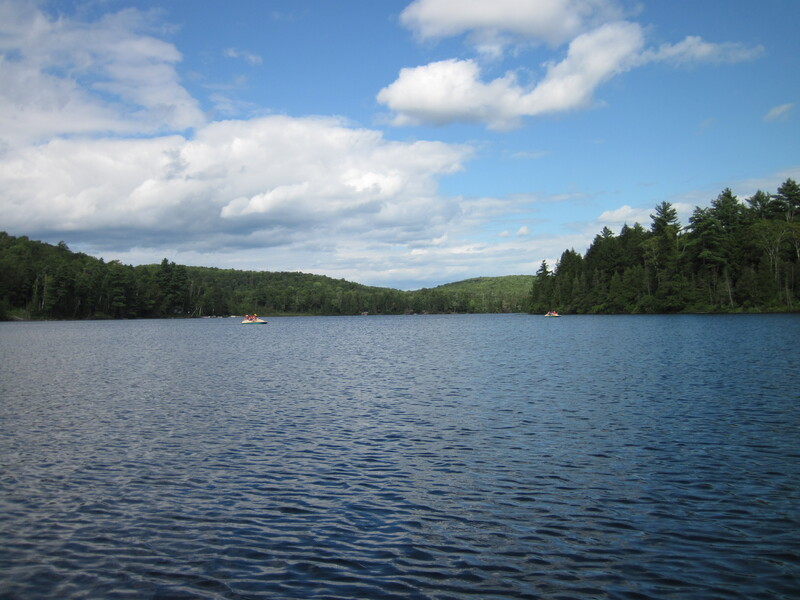 Located on 500 acres near Haliburton, ON, the camp is beautiful. We arrived on Friday afternoon and quickly found our home: Edelweiss, a two-storey building near the centre of the camp. We checked in, selected a room and picked our bunks (Mom was relegated to the bottom), and stored our gear. We got the chance to make some crafts and meet some of the other Moms and Sparks, and then our program got underway! Even though it was a weekend camp, we were still able to fit in a lot of activities. Our camp leader, “Honey,” made sure we had a good balance of free time and structured activities. We had time to do camp stuff like swimming, paddle boating, and hiking, and also lots of crafts! We had campfires and s’mores, played games, and hiked out to one of the more remote campsites to look at the lake. The girls ran around, watched bugs, and pretended to make crème brulée in the fire pit! I loved watching my daughter blossoming at camp. She got to meet and make friends with other girls. 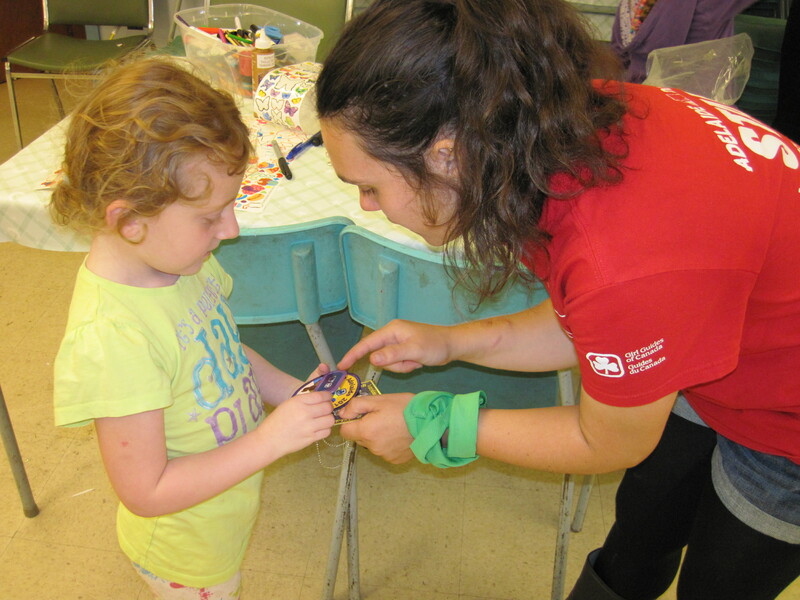 She had a great time with the other Sparks, and it was a fantastic introduction for her to what Guiding is all about. A side benefit for me was the chance to actually have a conversation with other grown-ups (not always easy when you’re a mom with young children!). Some of the other moms were also Guiders, but many were not; some had been youth members, and others had not been in Guiding at all. What we all had in common was that we believed in the benefits of Guiding and being at camp, and by the first night, we were all swapping stories and laughing over cups of tea once the girls had gone to bed. One of my favourite memories of the weekend is going with the other moms to learn archery while the girls were in a craft session–which goes to prove you’re never too old to learn something new at camp! All too soon the weekend was at an end. I drove home with a very tired, but very happy, Spark. She actually cried when we got home, because she wanted to go back to camp! We’ll be back again this summer, and we both can’t wait for camp to start! By guest blogger and Guider ‘Glowie’, aka Megan Gilchrist. 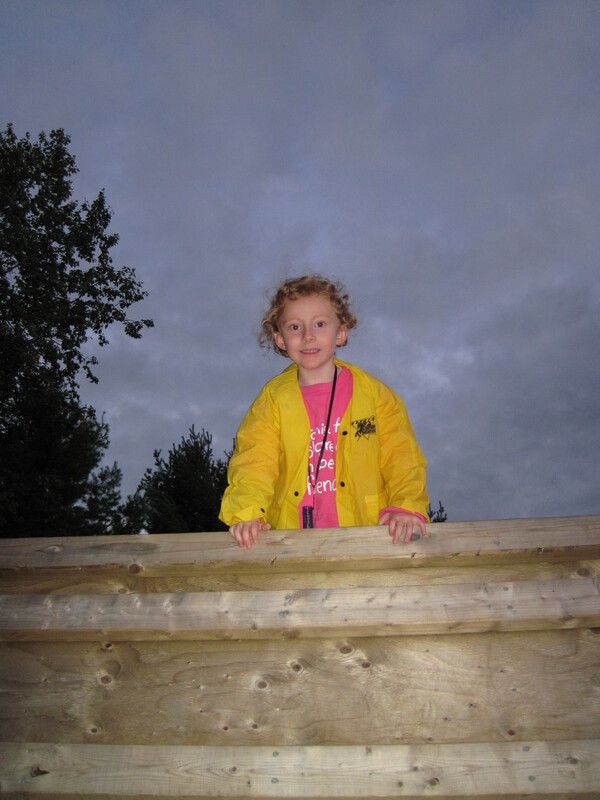 Megan is the Guider with the the 2nd Niagara on the Lake Brownies. 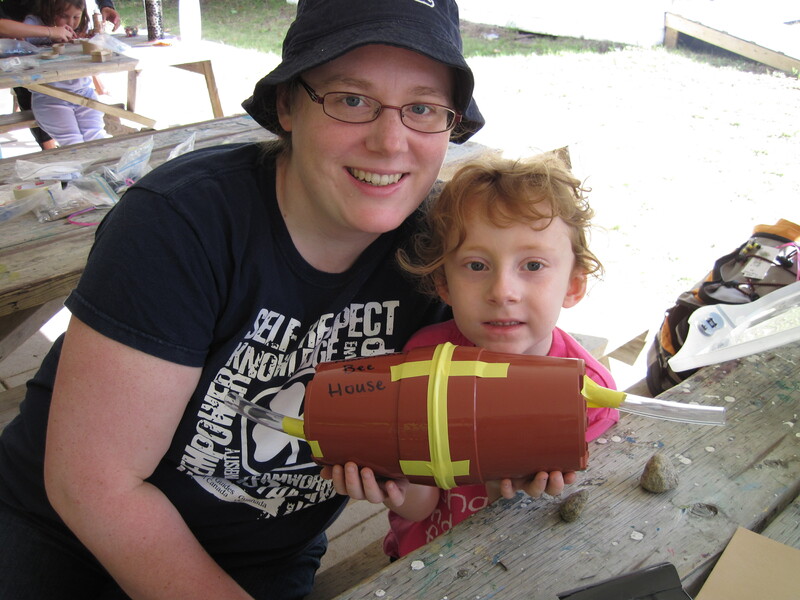 Read Megan’s other contributions to GirlGuidesCANBlog: Geo-What??? Or How to Hunt for Treasure in Your own Backyard, Hands-on History, Every Penny Counts, and “Multi-Branch” Means More Fun! 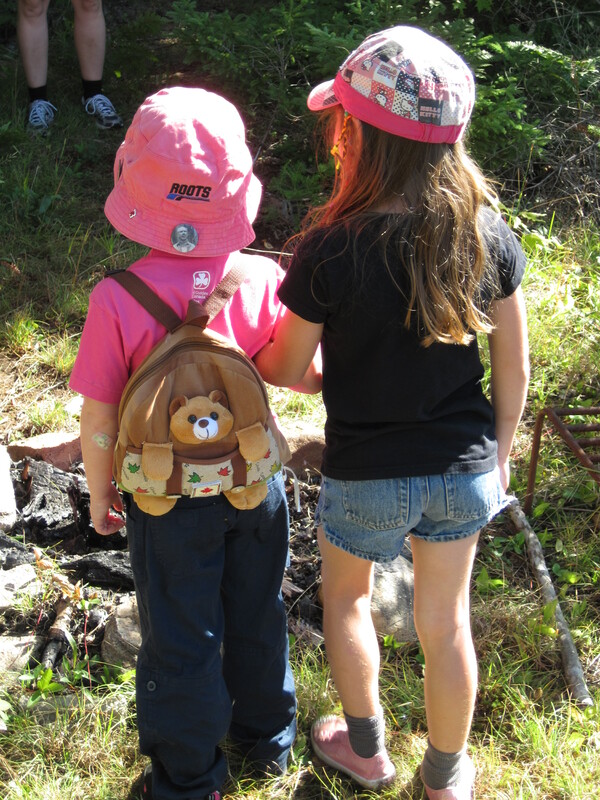 This entry was posted in Camping & Outdoors and tagged camp, camping, mothers. Bookmark the permalink.